As one of the smallest professional-use patients hoists on the market, the A2B overhead ceiling track hoist by Astor-Bannerman is the perfect hoisting solution. 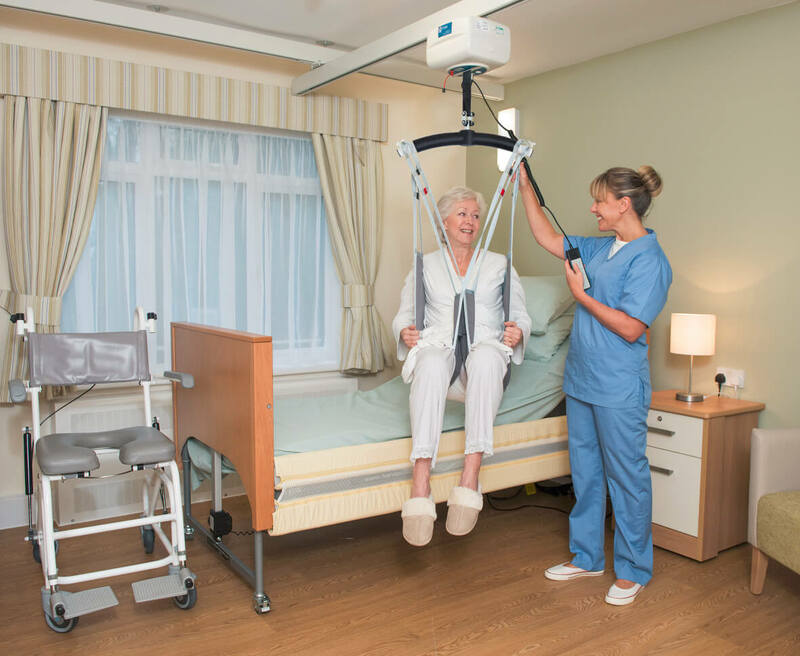 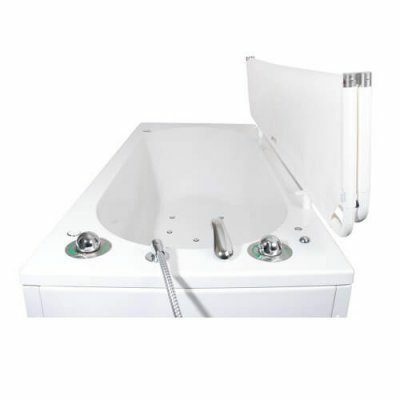 Helping to reduce carer back strain, this ceiling hoist makes patient transfer easier from wheelchair to bath and changing area, or even room to room, whilst preserving the dignity of the user. 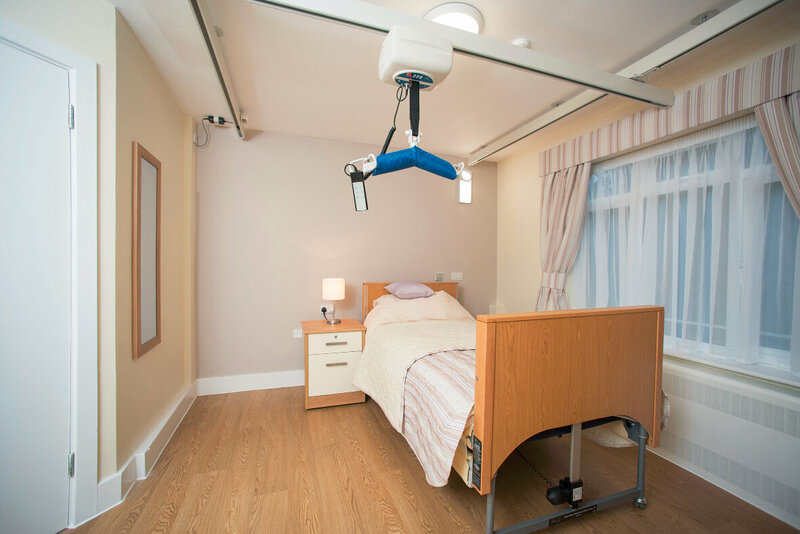 As with all Astor-Bannerman moving and handling equipment, the A2B Ceiling hoist is available with a wide range of options, accessories and slings, and each hoist is made to measure meaning your equipment will be tailored to suit your individual needs. A unique dynamo gravity powered charging system within the Astor-Bannerman A2B ceiling hoist means the unit is automatically charged when in use and can remain charged for more than 150 lifts. 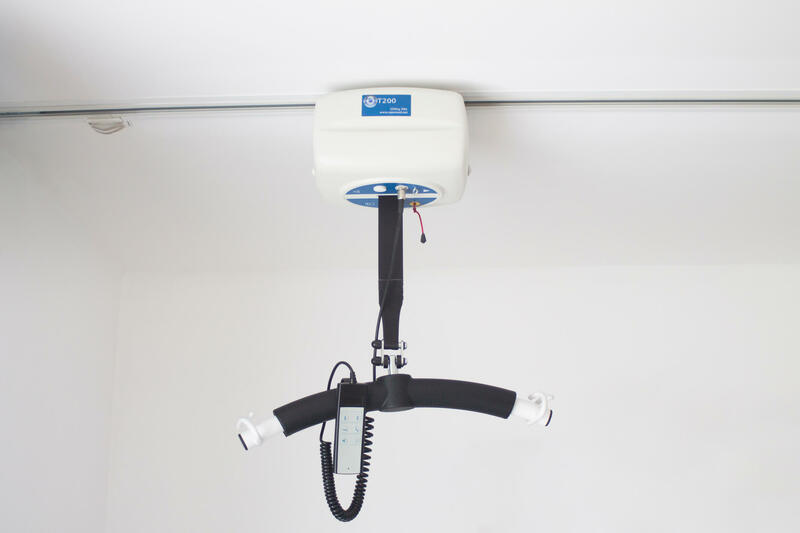 This can save potential repair costs due to loss of power and gives peace of mind that the hoist will still function. The A2B ceiling hoist also in has an in built emergency lowering system making this patient hoist a cost effective and flexible solution which is ideal for domestic and care home bathrooms, bedrooms, wet rooms and Changing Places toilet facilities. The A2B Ceiling hoist can be fitted to a curved, straight or H frame (XY) track for full room coverage and is operated at the touch of a button to raise and lower the client. 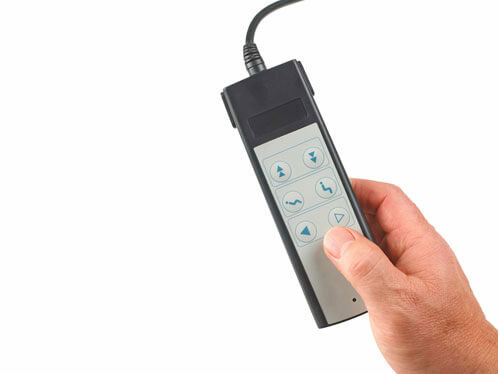 The motor can then either transport the client manually (2 function) or via the handset (4 function). All A2B ceiling hoists come with a 3 year warranty* and the subtle and compact design and flexible fitting options mean this hoist can be installed to the ceiling, wall or on a free standing gantry making it the ideal patent handling solution for use with assisted baths and showering/changing equipment. 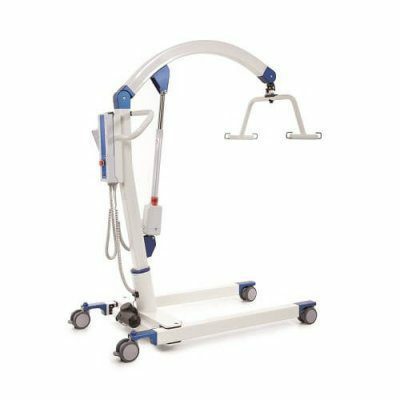 Additionally, these ceiling hoists are ideal for use in Changing Places facilities. 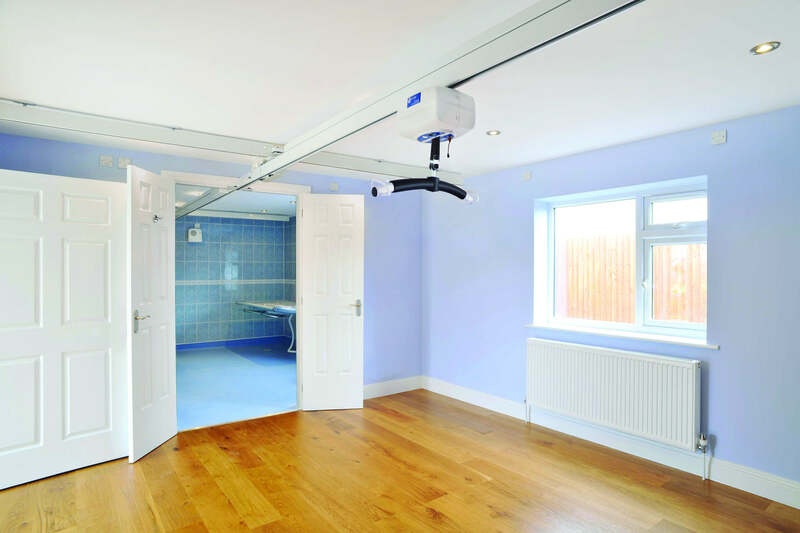 Astor-Bannerman (Medical) Ltd supplied this product to a family featured in the BBC One series ‘DIY SOS: The Big Build’ and was used as part of a life changing transformation to a family home. 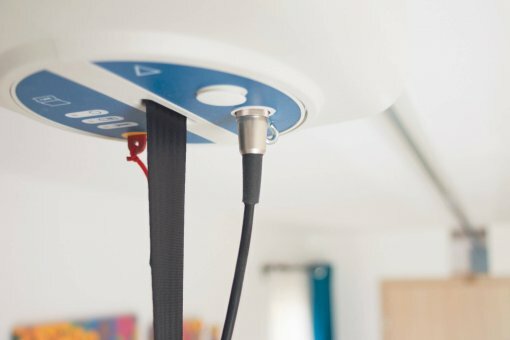 We chose Astor-Bannerman to supply a ceiling track hoist in the lounge for Josh based on their reputation for high quality & service. 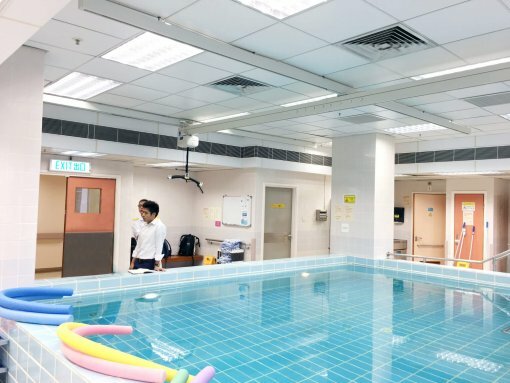 They didn’t disappoint. 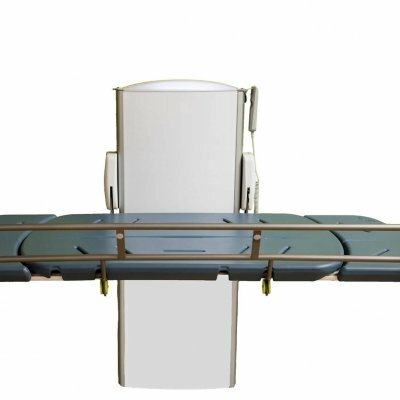 From start to finish we had a fantastic & importantly personal level of Service. 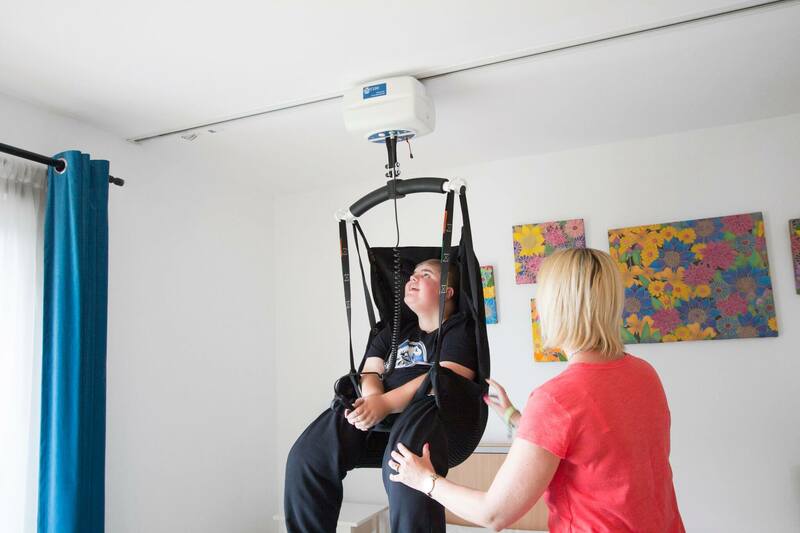 David designed the hoist to meet Josh’s needs along with the layout of our room, spending time to ensure it was exactly what was required. The installation was on time, the team were lovely and as expected no mess was left.